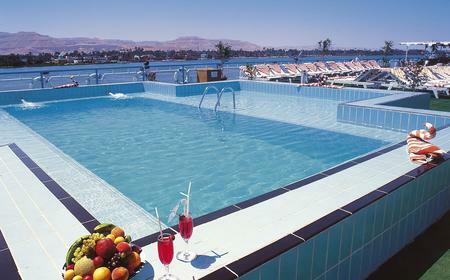 Peaceful and relaxing, this is the perfect base for couples and singles to recharge and take in all that Egypt has to offer. 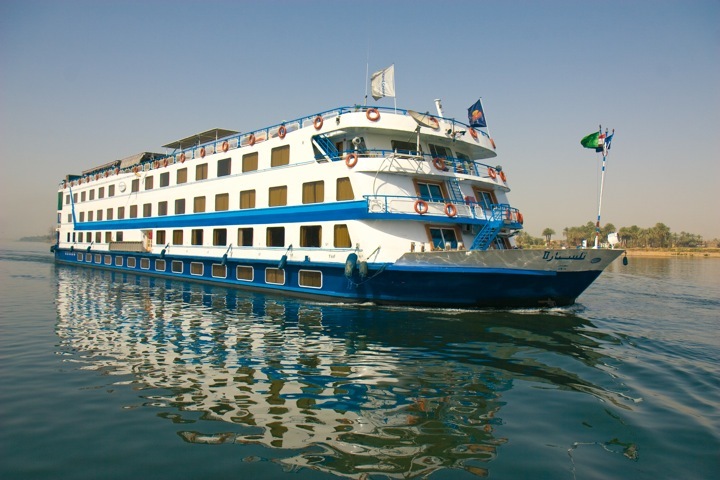 Whether you plan to relax and experience the sights and sounds of Egypt from the comfort of the ship, or join in the excitement of exploring old and new Egypt on foot, an unforgettable experience is guaranteed. As is a the warm welcome you can expect when you return on board to enjoy the hospitality and service that your Egyptian hosts are so famous for. 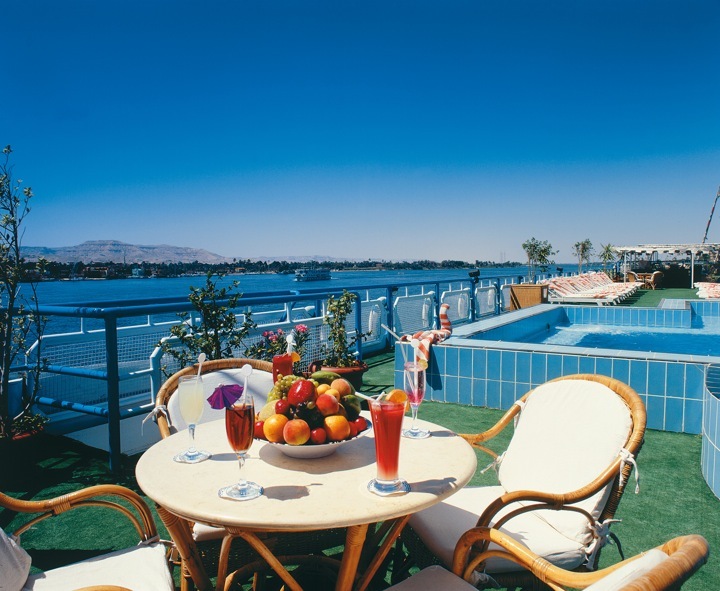 Whether you plan to relax and experience the sights and sounds of Egypt from the comfort of the ship, or join the excitement of exploring old and new Egypt on foot, an unforgettable experience is guaranteed. 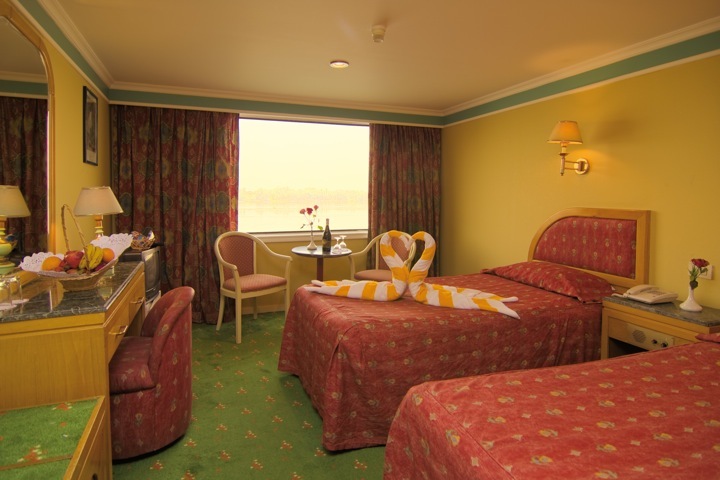 Set across 5 decks, the 62 cabins and two suites are equipped twin or double beds, bath with shower, WC, air conditioning, hairdryer and satellite TV. Use of the telephone and mini-bar in room is payable locally. 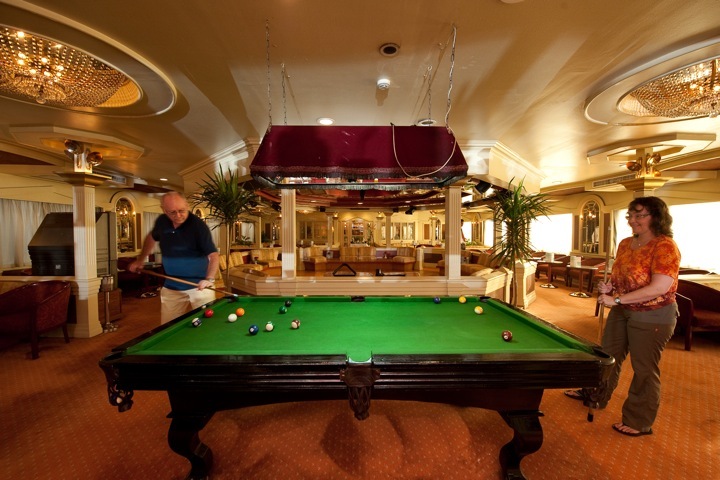 Specific decks can be requested on booking, subject to availability. Breakfast on board before travelling to the West Bank of Thebes and the final resting place of a succession of mighty Pharaohs in the Valley of the Kings, littered with intricate tombs – beautifully coloured and decorated with hieroglyphics A visit to the tomb of Tutankhamun is a popular optional excursion, but please note that the surviving treasures now reside in the Cairo Museum. On the West Bank discover the Temple of Hatshepsut, one Egypt’s few female Pharaohs, and the gigantic statues of the Colossi of Memmon, two massive stone statues of Pharaoh Amenhotep III, which have stood in the Theban necropolis for the last 3400 years. 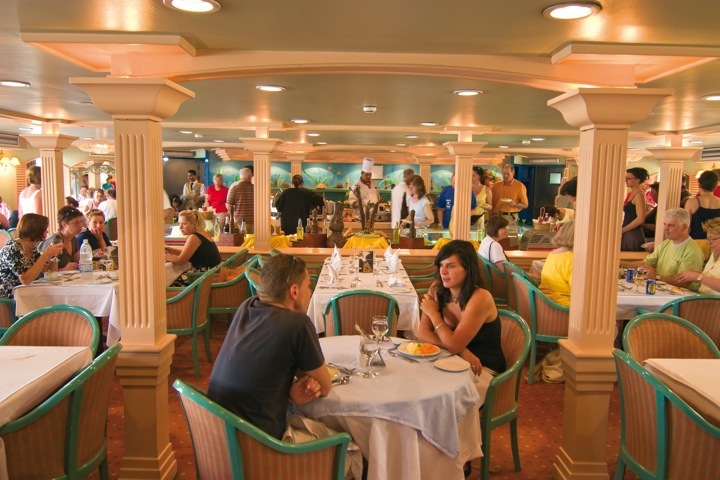 Make the most of the onboard facilities as you sail to the Aswan area. Alternatively, you can take time out for one of the optional excursions, such as an early morning trip to Abu Simbel (by air or by bus) to see the great sun temple with its four gigantic statues of Ramses II hewn into the desert mountainside. Another option is to take a day trip to an Aswan Nubian Village and National Park. During the evening you take an optional excursion to experience the atmospheric Sound and Light show in the Philae Temple.